This is the exodians.wordpress.com latest updates! December 1, 2009: Source Code posting in WordPress rocks! Due time for WordPress blogstat: Here is the November 2009 blogstat’s screenshot. 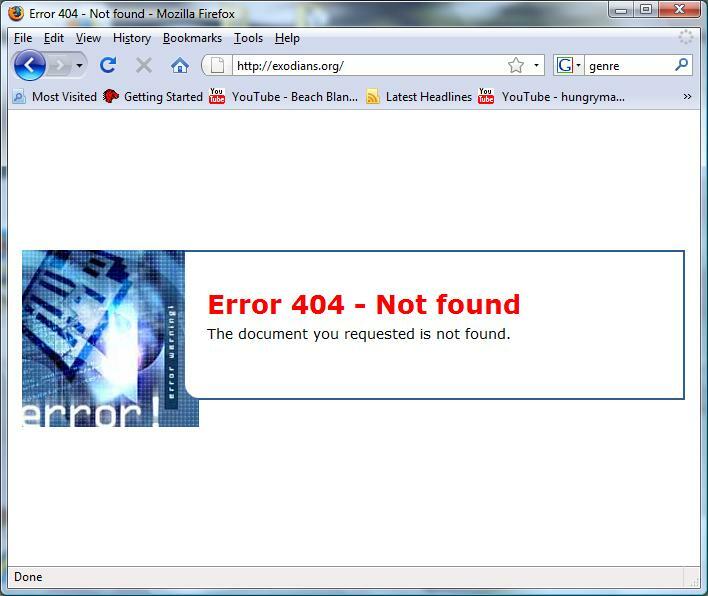 October 8, 2009: If you noticed the page exodians.org 404 document not found, that means – NOT FOUND! Is this paalam exodians.org? or “Walang Hanggang Paalam exodians.org.” Well, why stay with Joomla if there is wordpress that could handle everything from hosting/upgrading/maintenance. pril 26, 2009 : Theme: Reminiscing and looking back; rewiewing;entertaining;social networking; some heed our call some didn’t just lurked around. HOURS were spent browsing pages upon pages of documents inside the VATICAN LIBRARY and Library of CONGRESS. May 07, 2009 : The symbol means …”cause of death: violence”, someone’s life was taken by force sa binaryo pa nga istoryahanay, saksak binaboy bay, observed sa slaughter house ni Minggoy…just ike that, but effective…Here is the April three – year blogstat record high. May 10, 2009: Happy Mother’s Day 2009. Exodians: Netizens of the Word. Welcome to the New World Order sa EXODIANS BASILICA de Teknolohiya. (Hesus nga maloloy-on) signed by darbs. Effective this week Word Press exodians account will resume its function such as commenting and publishing. Salamat sa tubag. Updated: 05/15/2009 – Starting NOW, exodians.wordpress.com will suspend using the EXODIANS WP account, to hop around the blogesphere until technicalities will be resolved. In addition, we will suspend leaving messages and comments using the exodians’ name. For now the exodians account will not be used to publish any blog entry. ted by the individual member who responded the EXODIANS.WORDPRESS.COM invitation. Step 1: Please accept and activate your WordPress.Com account. Signed by Darbs, March 15, 2009, the day of our Lord. January 1, 2009: Greetings! Merry X-mas 2008 and Happy New Year 2009! Israel and Hamas are still killing each other – the classic story of David and Goliath. Mindanao, Philippines – Peace and War . Added to the list – Ka Vic Paglinawan’s murder to the ongoing Philippine extrajudicial killings. December 08, 2008: The result error 404 – Not Found when a user clicked the link located at the side bar has nothing do to with the 404 Error not found discussed here. December 05, 2008 – What’s new? It is official! The American economy is in recession. The recession started on December 2007. Okey then…what can you do? July 23, 2008 – We removed “Category Clouds” from the left side of the web page and added “Recent Comment Widget” titled “Kudos!”. “Recent Comment: Kudos!” publishes all the recent comments of the https://exodians.wordpress.com. For now, we set two for the comments to show. What did I say about brainwashing? – without any scientific evidence to support such claim that we are brainwashed (good for you if you are not one of us) and forced to use search engines. Look what happened!